Rocket taking off, coordinates, hordes of the undead, the iron cross, cable cars and a skinny Dempsey holding an MP40. Eye catching moon.. And if i see correctly faded skull on right top corner "Behind" moon..
Good catch! 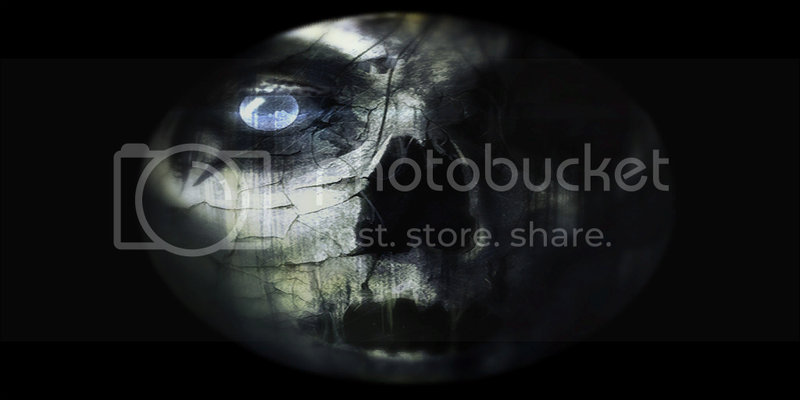 That definitely is a skull, although I am not sure its the exact Origins one but it has to be a reference or something. What numbers are you seeing? And what's the exact link you found? The numbers are on the right of Dempsey's head. The numbers are 12 29 17 80. Yeah I'm not getting anything when I google those numbers either. Look at this, if you want explaination. These are simply random numbers showing up throughout a PDF about Right-Ascensions. Sorry but I'm not convinced yet that they are related. I actually REALLY want that poster... I got the digital deluxe version from gamestop, does that count as getting the season's pass from gamestop? BTW, that gun is a Schmeisser MP-41 (not a MP-40). It's basically the same thing as the MP-40 except it has a wooden buttstock. Good research! Brains. This is a dream for me. PLEASE, I wish they would just reskin the guns for Zombies, at a very minimum. Oh...but they'd have to modify sounds too. I believe this map is just one big LCC controlled by Maxis. Designed to strike on beacons set up by Richtofen across different dimensions. 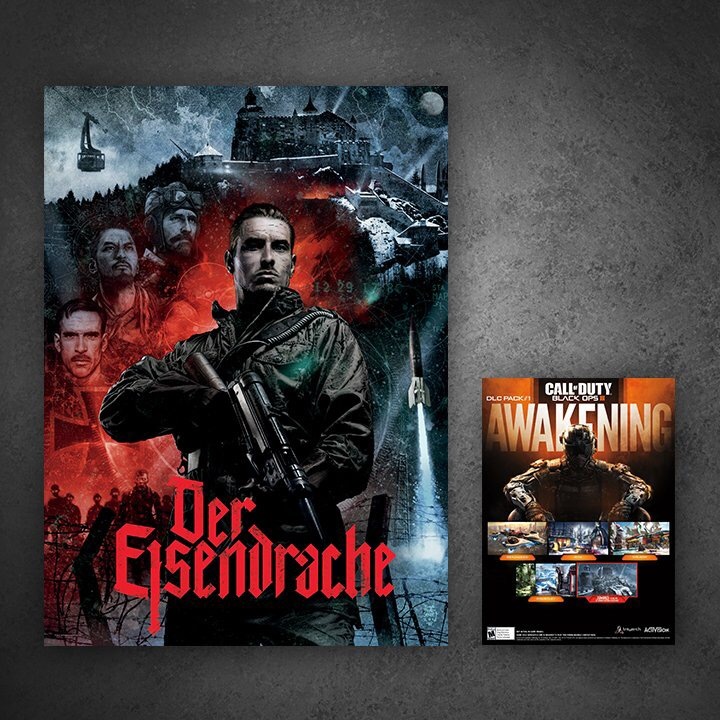 That moment when Treyarch catches onto you making posters and beats you to the punch every time. The numbers could be some sort of space coordinates maybe even multi-dimensional coordinates for the rockets to strike. 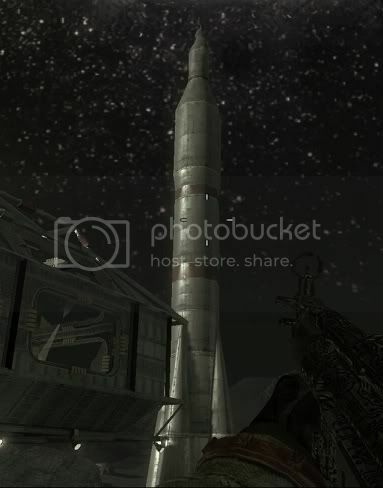 If one of the names for the castle in game is indeed Griffin Castle it would follow the theme of being Launch Control Center like the Griffin Station of Moon. 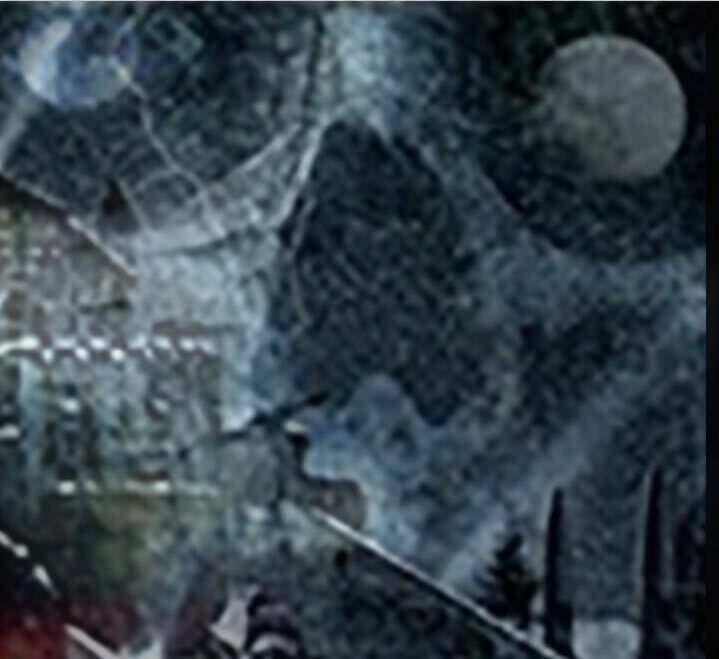 Also from the jump scare connection on the Origins one it has mountain range on it's right eye (Griffin Castle) and on the Der Eisendrache poster it has Moon on the left eye (Griffin Station). I think you don't understand. When you tape these numbers on Google, and you open this link it's lead to this PDF, and he is open right in the section of "Ascension". These numbers are the space cordinates of the constelation of Ascension. skinny Dempsey holding an MP40. The Mexican! Wearing Dempsey's clothes! I have a theory that this is in fact a map to space, or other dimensions. My main source for this at the moment is the words "Sta-Map-1" on the right side of the poster, in the middle. It looks like it should say "Star Map 1"
Playing around in photoshop, I made out the circles a lot better, the ones on the left side seem to be gears, the ones near Dempseys head and on the right side seem to be coordinates...with a giant circle around the castle itself. There are cordinates next to Dempsey, which lead to the constelation of Ascension. So yes, I assume it's a map to space.